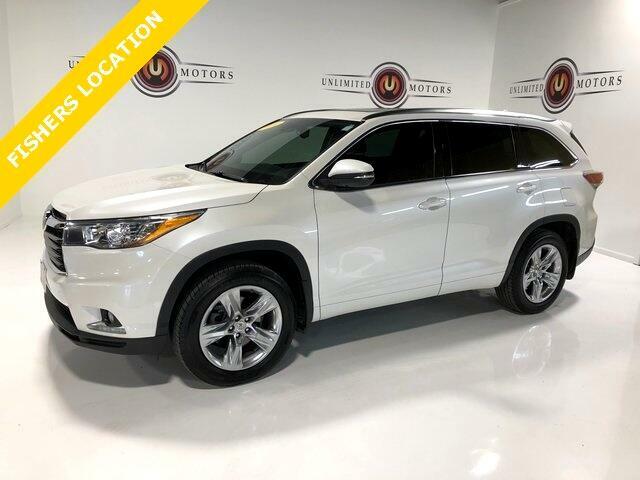 Bluetooth, Back Up Camera, Panoramic Roof, Towing, Heated Seats, Touch Screen, Highlander Limited, 4D Sport Utility, AWD, 3rd row seats: split-bench, ABS brakes, Automatic High Beams, Cargo Net, Carpet Floor Mats & Cargo Liner, Driver Technology Package, Electronic Stability Control, First Aid Kit, Front Bucket Seats, Front dual zone A/C, Heated door mirrors, Heated front seats, Heated/Ventilated Front Bucket Seats, Illuminated entry, Lane Departure Alert, Low tire pressure warning, Memory seat, Navigation System, Power moonroof, Pre-Collision System w/Dynamic Radar Cruise Ctrl, Preferred Accessory Package, Radio: Entune Premium JBL Audio w/Nav & App Suite, Reclining 3rd row seat, Remote keyless entry, Safety Connect, Security system, Traction control, Ventilated front seats, Wheels: 19" Chromtec. Clean CARFAX. Odometer is 9715 miles below market average!